Open the Photo Factory tab of your MyDakis account. 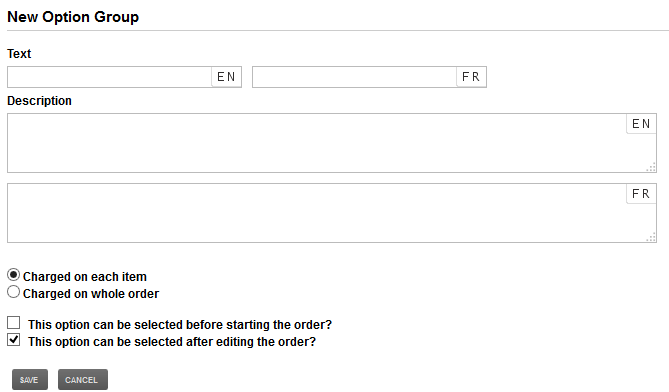 Find the Category or sub-category that you want to edit options for and click on it's edit button. In the Options Section, click on the edit button. A standard option group will add a fixed fee to each product for which this option is picked. An alternative pricing option group allows you to have a seperate pricing table for products with this option. Create the options you want to offer and price them by clicking on the new option button.